Keith Maitland was drawn to the story of the Texas Tower shooting when he first heard about the shooting from an eye-witness -- his 7th grade history teacher. 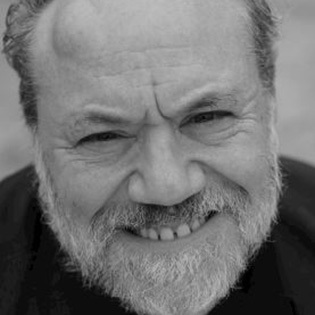 A graduate of the University of Texas, Keith began researching for TOWER after the 40th anniversary of the shooting in 2006 and began production on TOWER in 2012. Keith Maitland is the director of the ITVS-funded, Emmy-nominated, THE EYES OF ME, a year-in-the-life of four blind teens. EYES broadcast on PBS's Independent Lens and was honored with a Barbara Jordan Media Award by the State of Texas. Director of documentary features, commercials, and TV series, his credits also include 7 seasons with NBC's LAW & ORDER as an AD. Keith is a graduate of the Director's Guild of America Trainee Program and the PBS Producer's Academy. 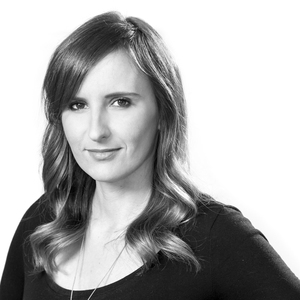 Megan Gilbride is an Emmy-winning and Independent Spirit Award nominated producer of narrative and documentary films. She produced LOVERS OF HATE, a Sundance US Dramatic Competition premiere, released by IFC and nominated for a FIND Spirit Award. She produced the PBS-broadcast documentary SUNSHINE and coproduced WHERE SOLDIERS COME FROM which won the Truer Than Fiction FIND Spirit Award, aired on POV and won a 2012 News and Documentary Emmy. 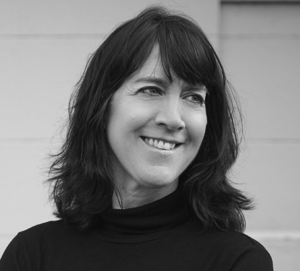 Susan Thomson co-founded and co-produced FilmMatters, a dialogue that focuses on the use of film to encourage social change. 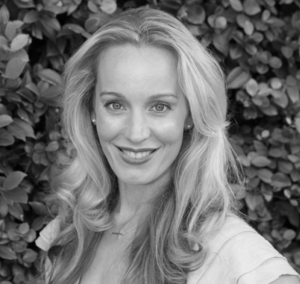 She spent over 12 years as media consultant in Dallas, Los Angeles and London, with roles in strategy, operations and distribution at Warner Bros., Sony Pictures, Andrew Lloyd Webber's "Really Useful Group", and the BBC. Susan Thomson graduated from the Business Honors Program at the University of Texas. 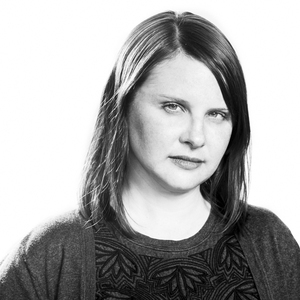 Hillary Pierce began her documentary career at Maysles Films under the tutelage of Direct Cinema pioneer Albert Maysles. While earning her MFA in Documentary Film at Wake Forest University, Hillary assisted faculty member and Kartemquin filmmaker Peter Gilbert teaching Visual Storytelling. Her film THE ONE WHO BUILDS won Best Short Documentary awards at both Kansas City Film Fest and Boston International Film Festival and is currently on a university screening tour. In addition to TOWER, she is also working with Director Keith Maitland on A SONG FOR YOU: THE AUSTIN CITY LIMITS STORY. Luke Wilson has written, directed, and starred in numerous films since his breakout role in Wes Anderson's BOTTLE ROCKET and is best known for THE ROYAL TENENBAUMS, THE FAMILY STONE, and LEGALLY BLONDE. 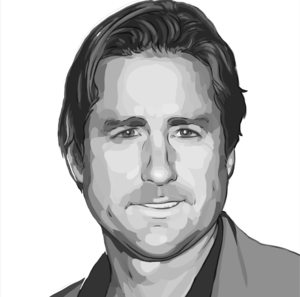 As a native Texan, Luke Wilson is excited to help tell the important Texas story of TOWER. Meredith Vieira is founder and CEO of Meredith Vieira Productions and is host and executive producer of her own nationally syndicated daytime show, “The Meredith Vieira Show,” produced and distributed by NBCUniversal. Previously, the 14-time Emmy winner was co-anchor of NBC’s ”Today," host of “Who Wants To Be A Millionaire,”and moderator of ABC’s “The View.” Meredith has said that one of her toughest assignments ever was covering the shootings at Virginia Tech. She feels a personal connection to the student survivors as both a reporter and a mom. She is excited to help share the story of TOWER. EXECUTIVE PRODUCER, CEO, Killer Content, Inc.
Adrienne Becker is currently producing properties for film, television,digital and live entertainment. Formerly, Adrienne was an entrepreneur-in-residence at Creative Artists Agency, partner at The Media Farm, and CEO of DailyCandy, Inc. She has also served as Senior Vice President at The Nielsen Company and InterActive Corp. Adrienne got her start on an airport tarmac in Philadelphia, where she held her first critically important position holding a rope line for then Governor Bill Clinton. She then went on to hold positions at the Department of Labor and as a Press Secretary on the ’96 campaign. She holds an M.A. in Communications from the Annenberg School, University of Pennsylvania, and a B.A. with Honors in Political Science from Washington University in St. Louis. Adrienne writes for The Huffington Post and sits on the Boards of the Made In New York Media Center, Youth+Tech+Health, the Story Pirates and the B-Stem Project with Women In Technology. EXECUTIVE PRODUCER, Co-founder, Killer Content, Inc. It is Killer Impact’s mission to provoke open dialogue, ignite awareness and encourage advocacy of socially relevant issues by producing engaging, artful, content. Killer Impact supports under-represented voices in storytelling, providing a means of creative and financial participation in projects that challenge convention and advance diversity. 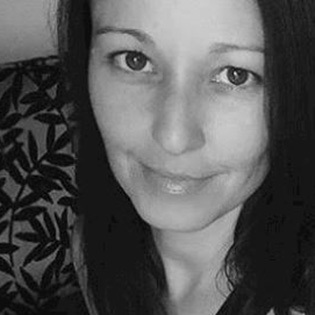 Rachel is currently developing and producing various properties for film and television, such as Only Ever Yours, The Displaced and Enemies Within. Independent Lens films have received 10 Emmy Awards, 13 George Foster Peabody Awards, 5 Alfred I. duPont-Columbia University Awards, and 7 Academy Award nominations. In addition, Vossen received the 2014 and the 2013 IDA Best Curated Series Awards. 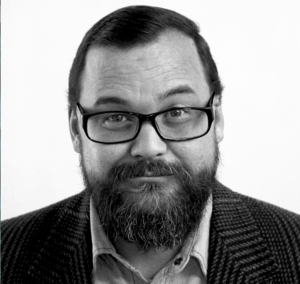 Previously, Vossen was Associate Managing Director of the Sundance Film Festival and Sundance Labs program. Lois provided the initial funding for TOWER and has been a steady source of support for the project. Austin Reedy is an Austin, TX based editor, who has worked on several independent films and television series that have shown on PBS, A&E, Discover, History and TLC. In addition to TOWER, he is editing A SONG FOR YOU: THE AUSTIN CITY LIMITS STORY, also directed by Keith Maitland. Craig Staggs is a visual artist, filmmaker and writer. He is a traditionally trained oil painter and caricaturist whose illustrations have been featured in publications such as The New York Times and The Houston Press. His digital paintings have graced the covers of Simon and Schuster’s Star Trek: Starfleet Academy book series and The Austin Chronicle. After working on Richard Linklater’s cult classic A Scanner Darkly Craig founded a successful animation studio that produces short format content for commercial clients. 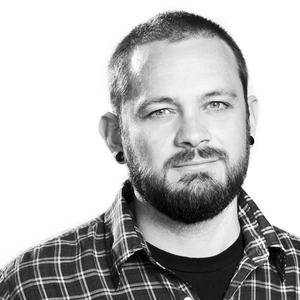 In 2012, Craig teamed up with Steph Swope to form Minnow Mountain, an independent transmedia studio dedicated to visual storytelling through the integration of illustration, animation and video. Minnow Mountain is proud to be producing the rotoscoped animation in TOWER. After earning a BFA in Photography from the University of the Arts in Philadelphia, Steph began a diverse career in the visual arts. She has worked in the film industry for over 15 years, moving from the art department to producing. She has also worked as a photographer for The University of Texas School of Law while establishing a client base as a freelance video and photo researcher. In 2012, Steph teamed up with Craig Staggs to form Minnow Mountain, an independent transmedia studio dedicated to visual storytelling through the integration of illustration, animation and video. Minnow Mountain is proud to be producing the rotoscoped animation in TOWER. 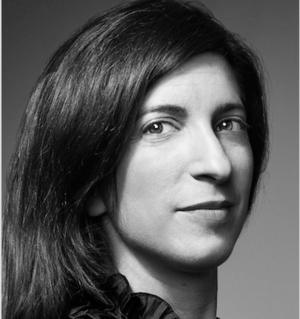 Pamela Colloff is an executive editor at Texas Monthly and has written for the magazine since 1997. 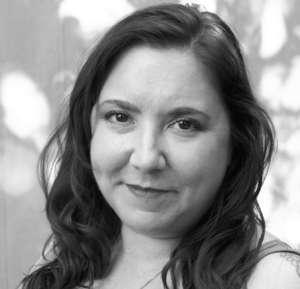 Her work has also appeared in the New Yorker and has been anthologized in Best American Magazine Writing, Best American Crime Reporting, Best American Non-Required Reading, and Next Wave: America's New Generation of Great Literary Journalists. TOWER is based in-part on Pamela's oral history "96 Minutes," which ran in Texas Monthly in 2006. 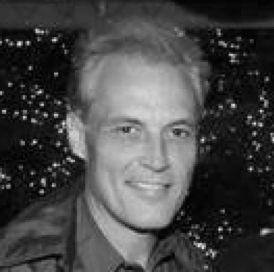 Steve Eckelman is a producer, writer, and actor. Steve has worked on over 20 feature films, including Rushmore, Wedding Crashers, Cars, Marley & Me, The Life Aquatic with Steve Zissou, Starsky and Hutch, Shanghai Knights, and the Darjeeling Limited. Steve approached the TOWER team based on his interest in the Texas Monthly article, “96 Minutes” to offer his support and that of his producing partner Luke Wilson. 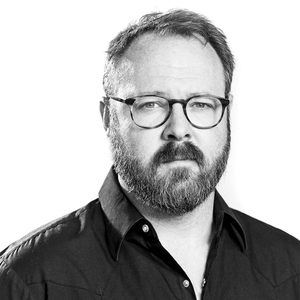 Louis Black is publisher and editor of The Austin Chronicle, a senior director of SXSW, and a partner in Production For Use, all of which he also co-founded. A columnist for over 25 years he has written extensively on film, music and politics. Executive producer of BE HERE TO LOVE ME, A FILM ABOUT TOWNES VAN ZANDT, he was a producer on the Peabody Award Winning THE ORDER OF MYTHS. He has a book and DVD deal with UT Press where he’ll be releasing more in the series of Texas Classic Films reissues, which include Eagle Pennell's THE WHOLE SHOOTIN' MATCH, JONATHAN DEMME PRESENTS MADE IN TEXAS, SIX FILMS FROM AUSTIN and Tobe Hooper's EGGSHELLS. RICHARD LINKLATER: DREAM IS DESTINY, a film he co-produced and codirected premiered at Sundance, has been released theatrically by IFC and will be on PBS' American Masters in 2017. 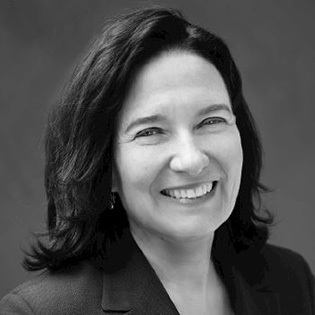 As President and CEO, Sally oversees the funding, production, and public television launch of more than 75 programs each year. During her tenure, ITVS programs have garnered 23 News & Documentary Emmy Awards, nine duPont-Columbia Awards, 26 Peabody Awards, one Golden Globe Award, and 15 Academy Award nominations, among other industry accolades. Since taking the helm, Sally has piloted ITVS through major programmatic expansion, launching the primetime Emmy Awardwinning PBS series Independent Lens and the organization’s first international venture, the Global Perspectives Project, which has funded over 140 international independent documentary films for U.S. broadcast and digital distribution, and has distributed American films to over 100 million viewers in two dozen countries. 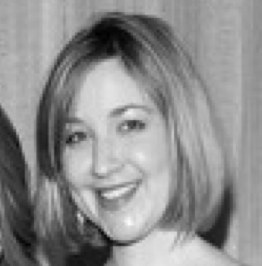 Sally also positioned ITVS as a leader in the digital space, producing the alternate reality game World Without Oil, the web series Futurestates, and OVEE – a first-to-market social television platform that allows groups large and small to simultaneously watch and interact with video in real time. 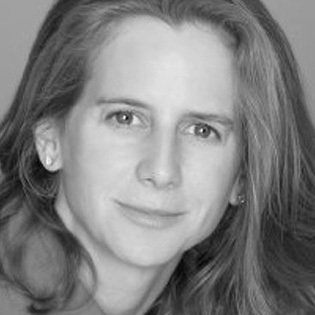 Amy Rapp is a film, television and theatre producer, and runs Meredith Vieira Productions. Her credits include "Return," which premiered at the Cannes Film Festival, the critically-acclaimed, Emmy-nominated feature documentary "The Woman Who Wasn't There," and the national tour of the hit Off-Broadway play "Life in a Marital Institution." The story and style of TOWER had an such an impact on Amy that she offered her and Meredith's support for the film. Founded in 2002 by film archivist and University of Texas at Austin professor Dr. Caroline Frick, the Texas Archive of the Moving Image (TAMI) is a 501(c)3 non-profit organization working to discover, preserve, provide access to, and educate the community about Texas’ film heritage. Booka Michel is a well known professional musician and producer. Since 2000 he has produced award-winning albums, with Songs and Albums of the Year in Canada, Australia, Europe and the U.S. in the Blues, Folk, World Music and Americana categories. Booka has also produced four feature films, his latest being Baghdad, TX and the award-winning short subject Native New Yorker. He’s also a voting member of the Director’s Guild of America and the Recording Academy (Grammy’s). He has performed with Butch Hancock, Doug Sahm, David Amram, Flaco Jimenez, Hoyt Axton, Jimmie Dale Gilmore, Odetta, Pete Seeger, Peter Yarrow, Don Walser, Arthur Brown and Townes Van Zandt. Edythe Michel was born and raised in Austin, Texas. Appreciation and support of the arts were a natural part of growing up in a family with a long tradition of philanthropy and community involvement. She and her husband Booka have two children; Shana and Jacob. Edythe is an avid gardener and enjoys maintaining her historic home near the University of Texas. 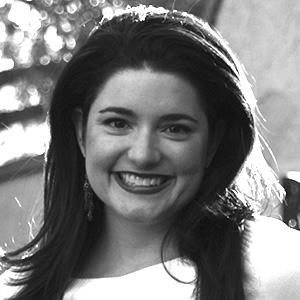 She is involved in local and statewide politics and serves on the Board of Directors at the Austin School of Film. After several years of serving in leadership roles with Cru, Mary Beth has shifted her focus to the world of documentary filmmaking. Propelled by a desire to make stories of redemption and hope known worldwide, she has been a part of producing a narrative short, two documentary shorts and IMBA MEANS SING, a feature length documentary about the Grammy nominated African Children's Choir. RETURN TO MOGADISHU: REMEMBERING BLACK HAWK DOWN is her latest film and is currently on a screening tour. Vice president of communications and digital strategy for Texas Exes, the alumni association for The University of Texas at Austin, and the editor-in-chief of Alcalde, the award-winning alumni magazine. Under Tim’s leadership, the communications arm of the Texas Exes has expanded to include video, interactive media, podcasting, and the Alcalde show on Longhorn Network. Tim earned his bachelor’s degree in history and Plan II at UT, and his master’s in journalism from Northwestern’s Medill School. While at UT, Tim served as a Tower tour guide and his connection to the Tower and its history drives his interest in the film. As a mission-driven and award-winning filmmaker, Melina hails from South-Africa and proudly hangs her hat in Dallas, Texas. Under the Movies with a Mission banner, she produced films such as the Sundance award-winning doc TV JUNKIE, FACES OF ADDICTION, TOREY”S DISTRACTION and IMAGES OF INDEPENDENCE. Her brainchild is the Filmanthropy Fund which brings philanthropists and filmmakers together to produce socially relevant and impactful films. 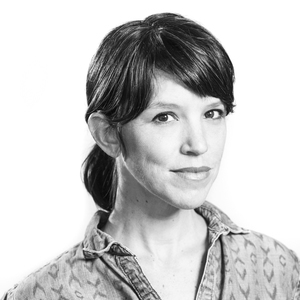 Melina co-founded FilmMatters – a film and panel symposium which focuses on the challenges filmmakers, activists and non-profit organizations face in making a “movie with a mission.” Melina has several documentaries in post including STANLEY MARCUS and PURE ECSTASY. A native of Dallas, Michael founded the non-profit Arts Fighting Cancer (AFC) with a mission to promote the arts while benefiting the Cancer Relief Fund. AFC produced the Deep Ellum and Santa Monica Film Festivals and the Santa Monica Drive-in at the Pier. Michael co-founded The Dallas Film Society which hosts the Dallas International Film Festival. He produced/directed documentary TV Junkie (Special Jury Prize, 2006 Sundance Film Festival). Michael is currently producing/co-directing PURE ECSTASY, set in 1980s Dallas on the infamous STARCK Club. Dr. Paul Stekler - Paul Stekler is a multi- award-winning producer and director of documentaries, and the Chair of the Radio-TV-Film department at The University of Texas. Perhaps best known for his role in shaping EYES ON THE PRIZE for PBS, and his recent POV-broadcast doc, GETTING BACK TO ABNORMAL, Stekler began advising Keith Maitland on his previous film, THE EYES OF ME and since then has lent his invaluable eye to all of Keith’s projects. Catherine Robb - Austin-based attorney, Catherine Robb is the daughter of Senator Chuck Robb, and the granddaughter of President Lyndon Johnson. As an intellectual property attorney, Chair of PBS member-station KLRU, and board member of the Austin Film Society, Catherine has an unparalleled view into the worlds of politics, PBS, and independent filmmaking. Tim McClure - Cofounder of GSD&M Advertising and CEO of Mythos brand strategies; MindMeld, a global alliance of innovators and collaborators; and H2Orange, pure Texas water that funds academic scholarships for the University of Texas at Austin. Courtney Spence – As founder of Students of the World, a 501c3 non-profit that supports a diverse community of storytellers to use their creativity as a force for good, Courtney Spence has negotiated partnerships with The Clinton Global Initiative and the United Nations to highlight stories worldwide. Annie Holand Miller – As Student Body President at the University of Texas in 1999, Annie played a pivotal role in reopening the UT Tower deck, which had been closed since 1974. She’s a graduate of UT Law and Principal at Holand Investments. Margaret C. Berry - Long considered to be the university’s unofficial historian (she wrote her doctoral thesis on “The History of The University of Texas”), Dr. Berry has authored several books about UT’s customs and traditions, including the popular U.T. Austin: Traditions and Nostalgia. Among her many awards and honors over the years are several endowed scholarships given annually in her name. She has been named a Distinguished Alumna, the highest award given by the Texas Exes, and in 2005, she was named Austin’s Most Worthy Citizen. Steve Stodghill - Principal in the Dallas office of Fish & Richardson P.C. His practice emphasizes all aspects of complex litigation. Mr. Stodghill served as Team Counsel for the Dallas Mavericks from 2000 to 2002. He was a Founding Partner at Lynn, Stodghill, Melsheimer & Tillotson (which the Texas Monthly described in a 1998 article “Top Guns” as the “Navy Seals” of litigation), working with the firm from 1993 to 2000.